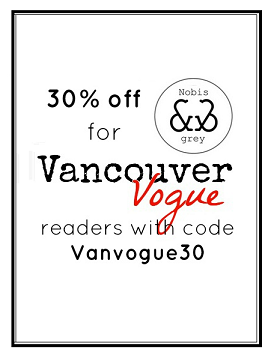 Vancouver Vogue: 22nd Birthday Tea! I celebrated my 22nd birthday with friends this past Monday at the Secret Garden Tea Company in Kerrisdale. I go for afternoon tea any chance I get: who wouldn't be in favour of dressing up, sipping tea, and tasting dainty sweets? My favourite tea of the day was Provence, which had lovely hints of lavender...I felt like I was in the south of France! As for the food, by the far our favourite finger food were the scones. Something about them is just so ridiculously yummy! Add that tasty Devonshire cream and jam and this is one scrumptious little snack. We continued on from the Secret Garden Tea Co to Granville Island market for some drinks, then finished off the evening with an absolutely fantastic meal at Caché in Yaletown. My birthday dress was featured here on Thrifty Thursday a while back. It's by a local designer French Spy and features a silk sash and full skirt. To keep with the vintage feel of the dress, I added red lips and polka dot heels: my favourite colour combo has always been red, white and black. Side note: Maybelline SuperStay 10hr Stain Gloss has an AWESOME red lipstick. It doesn't stay on for 10 hours, but it does last really well and doesn't dry out or crack. This is my new go-to red lipstick (even those it's really a gloss!). The beautiful lace umbrella was a birthday gift from some of my close girl friends, who picked it up from my favourite store in Fort Langley: the Little White House. I've never wished for rain, but it was nice to have been able to use it right away! anyway, I love the photos and all of you look fabulous. your new umbrella is probably the most beautiful umbrella I have ever seen! Looks like a great time, that is the most adorable umbrella ever! Glad I stumbled across your blog, it's too cute! Cute photos, love that umbrella! hey belated happy b'day..such nice pics.. Love ur umbrella.. Happy belated birthday, sweetie! It looks like you had an absolute blast - although really, you can never go wrong with the Secret Tea Garden. I'm going this coming weekend and I'm already counting down :) I love your birthday ensemble, especially the addition of that cute umbrella! Such a fun and whimsical touch. On the subject of outfits, the rosette dress I wore in my Briar Rose post was from ModCloth. If there was a brand name, I sadly don't remember it. But I know it's from last season, possibly holiday 2011, so I'm not sure it would be available anymore. Never hurts to look, though! I'm really late but happy belated birthday. You were gorgeous as always during your special day.